The Universidad Cristiana Internacional “El Shaddai” is a full credited school for Pastors, Ministers, and leaders that want to know more of the bible. They will be able to take the classes and they will be credited with other universities in the United States and Puerto Rico. They offer services like Licenses, Masters and Doctorates. 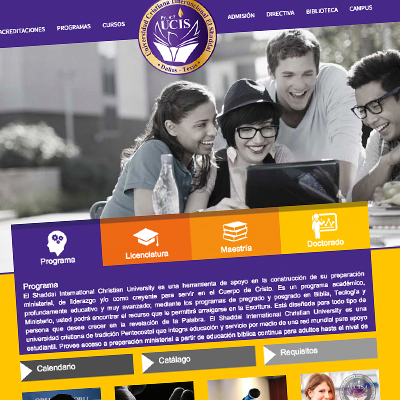 Our goal was to perform a platform easy to navigate and easy to get information with the School. This is offer around the U.S and worldwide. Our team is ready to develop a digital platform just the way your business needs it. We don’t go by what we like, we go by what you need. Get more information from one of our specialist.